Shelan Faith has an internet-enabled home "security" system from Vivint Home Security; it includes cameras that spy on the interior and exterior of her home, as well as sensors that report on things like when her doors and garage are open or closed. Last week, a stranger mailed Faith a letter to inform her that they, the stranger, had full access to the AV and telemetry from her home; they were also Vivint Home Security customers and Vivint was leaking their data. 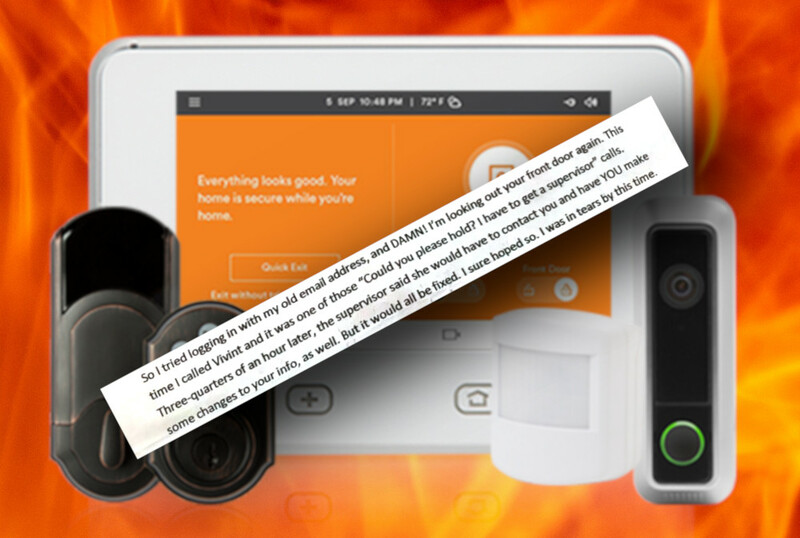 The stranger had spoken to Vivint, but the company had failed to address the problem. When Faith contacted the company about the letter, they initially refused to believe her. They told her she'd owe them thousands of dollars if she canceled her contract. The company now says the issue's been resolved and "we are updating our processes to make sure it can't happen again." Vivint said the same thing in 2012, when another customer tried to cancel his service because his feeds were being exposed to other customers. Vivint also tried to charge that customer thousands to get out of his contract. The spokesperson told CBC News the security system requires an email invitation to connect, but a technician used their own email account to connect the system for a customer who did not have an email account. They said the two systems were accidentally connected when the technician went to the next installation. The spokesperson said the technician felt "terrible" about the incident. Matt Carthy is a Sinn Fein MEP from Eire; he's standing for re-election in the upcoming EU elections and has had fliers prepared with his headshot. I'm coming to Halifax to give the closing keynote on day one of Atlseccon on April 24th: it's only my second-ever visit to the city and the first time I've given a talk there, so I really hope you can make it!